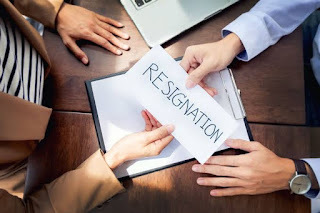 Most of the employers feel lower compensation, low work-life balance, bad manager and lack of opportunities to grow are the main reason behind most of the quitting employees. But the Data disagrees with the same. Curious about the real reasons behind your employee resignations? We asked 500 employees in different sectors (who recently changed their jobs) the main reason behind their quitting their last job and here present you the main reasons why employees quit their job. Most of the Smart millennials always tends to think themselves as irreplaceable and most important resource of the company. They also expect the same kind of respect in the company. As and when they feel their compensation is low/ they're being neglected or when another employee of same level is given better hike, They feel a need to make the upper management know about their importance in the company. This feel increases with time and they start searching for jobs and end up getting better job than they expected. Smart employees eventually comes to know they're smarter than others and are often associated with high self respect especially in startups. They generally don't take scoldings lightly and one such bad scolding from their manager or the founder of company will make them think about putting papers off on the same day. People in their 20's often visualize their office time to be extended version of their college life and expect the same friendship to flow through in office. When they find their co workers to be opposite, workohlic/ boring/ busy, they start visualizing their life to be drastically changed. This stimulates them to look for job change.